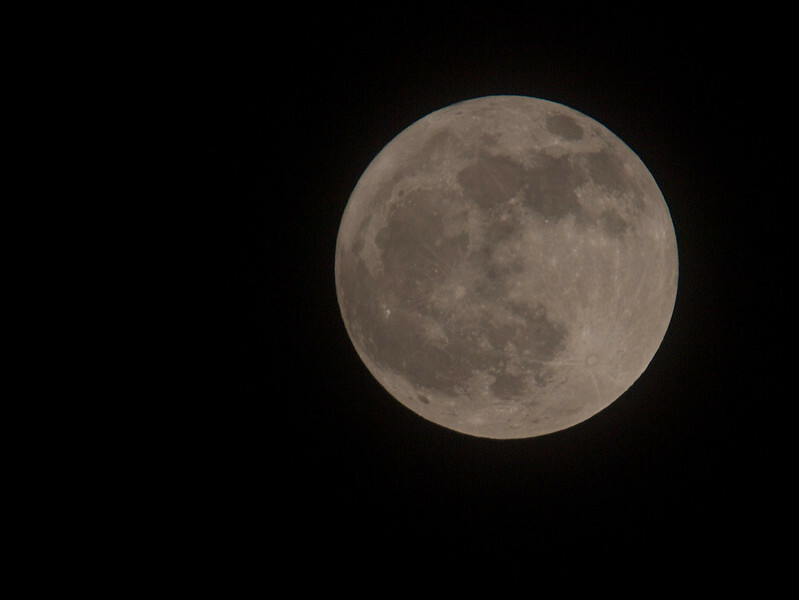 January 19th 2011 full moon captured approx 7pm. According to folklore, this full Moon is the "Wolf Moon," named long ago by Native Americans after the singing packs of wolves they heard during the winter month of January. Called old moon in GB. Captured with Olympus E3 with 90-250mm lens & x2 TC.